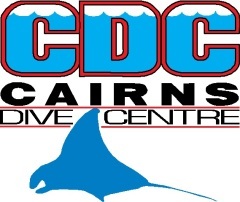 Cairns Dive Centre has been an industry leader within the Cairns region for over 30 years. Our Snorkel, Introductory and certified day or liveaboard trips along with a full range of learn to dive and professional continuing education programs will see you visit the best snorkel and dive sites available from Cairns. Our professional Reef Team are here to make your experience the best value for money holiday possible. The MV Reef-Kist is a state of the art 17.5 metre catamaran capable of carrying up to 75 passengers in air-conditioned comfort. MV Reef-Kist offers a fast two hour transfer to the true Outer Great Barrier Reef. Cairns Dive Centre limits the combined diving and snorkelling day trip passenger numbers to a maximum of 40 - after the daily transfer of some divers to our live aboard vessel MV Kangaroo Explorer. The MV Kangaroo Explorer is a comfortable 25 meter catamaran featuring a saloon, servery for the galley and a well stocked, licensed bar.There are 16 comfortable cabins onboard made up of twin, double and 4 berth.